Our great partner in Costa Rica, Geotecnologias, recently republished his 2018 Orbit GT article in the GeoInformatics magazine. Enjoy reading! With the Ordnance Survey being existing Orbit users, our partner LandScope was able to supply 3D Mobile Mapping data to augment their existing model to fully visualise, assess and accurately extract highway infrastructure assets with full attribution intelligence for rapid GIS population and smart city modelling. Together with Ambit, our partner Vexcel has been running some pilot projects at Hong Kong. Combining backpack, streetview, and aerial captured data is key in these projects. The Orbit suite offers a perfect solution to match everything together and share the Reality Capture to a wider audience. 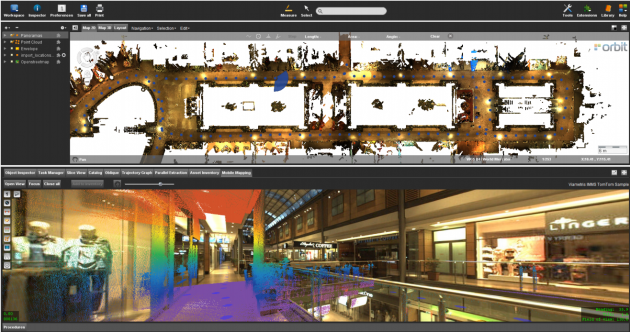 Orbit GT’s software and built in workflows have raised the bar of indoor mapping at airports; the speed of making information available, the ease of updating data when changes occur, combined with the advantages of visualizing and better understand the underlying data layers benefits all stakeholders. Our partner X-Spatial is running the indoor project in Los Angeles Airport. From highway gully mapping to race circuit modelling, our partner LandScope Engineering has been using mobile mapping technology to create an accurate and detailed highways asset inventory for the Highways Services Division at the Isle of Man Government utilising Orbit’s Feature Extraction software. Given the incredible amount of detail available from the originally captured point cloud data and panoramic photography, LandScope were provided with an opportunity to work with a gaming solution provider to create an environmental model of the TT track for their newly released game Isle of Man TT Ride on the Edge for PS4/XBOXone/PC – proving the value of mobile mapping as a 3D digital record tool. Congratulations to BPG Designs on successfully mapping already 26000 buildings and inspecting over 200000 individual assets in the iconic New York City project based on Orbit Desktop and Publisher software. Orbit's customer BPG Designs was awarded the initial test phase of using Mobile Mapping LiDAR and Imagery for the “Public Works Department” in NYC. Congratulations to the State School Department of Sustainable Building Management in Flanders (Belgium) who successfully finished the indoor scanning job of their 3409 buildings (821 domains) based on Orbit Indoor Mapping software. The 360 degrees images and point cloud have been used to create floor plans of all levels and share the data online to all facility managers. Authorized Orbit GT Reseller Geograma has carried out the Mobile Mapping of all streets, roads and highways belonging to the urban area of the municipality of Donostia / San Sebastián. In this way, San Sebastián faces the challenges of optimizing the management of the city, continuing its journey towards a smart city. 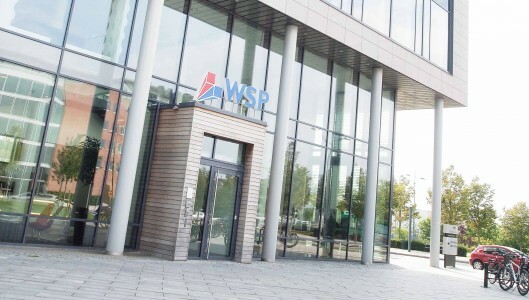 Based on the Orbit MM portfolio, our partner WSP has covered today all roads in Sweden for the Swedish Traffic Administration as well as managed all Orbit Mobile Mapping data for the city of Stockholm. Great job done! 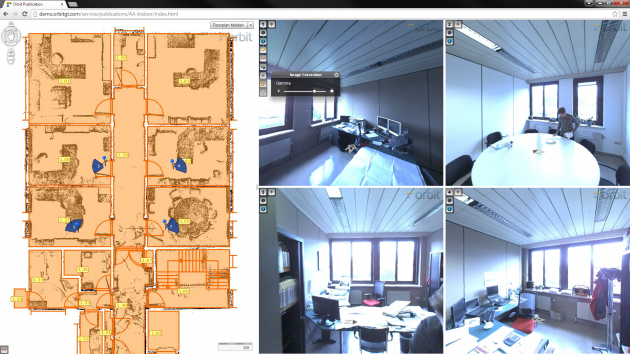 Good job of MapXact (Topcon IPS2) and Geocart (Ultracam Osprey) on successfully covering Rotterdam City. The Orbit Mobile Mapping as well as Oblique Mapping Publisher is now fully operational at the smart city Rotterdam. Nice project going on in Denmark for the Danish Mapping Authority. Both Orbit GT Resellers Aerodata & Vexcel are involved in this attractive Oblique Mapping project. Today Geomobis, Authorized Reseller of Orbit GT in Turkey, successfully finished their Mobile Mapping project for the City of Istanbul. Superb job done. Based on Orbit Indoor Mapping software, Viametris tackles the next frontier in Mapping: the great Indoors!...and Outdoors. Read the interesting article in LiDAR Magazine here. Orbit Mobile Mapping proves the answer for BPG Designs in meeting time-to-market demands. Read this interesting story published in LiDAR Magazine 2016 VOL 6 NR 8. Based on the Orbit MM portfolio, the FGIA (Flemish Geographcal Information Agency) has decided to tender a second round of Mobile Mapping and started managing and organizing an up-to-date country wide Mobile Mapping project. The job required the acquisition, processing, and sharing of spherical imagery and LiDAR data for all 65,000 kilometres of roads in Flanders. Further to the acquisition of mobile LiDAR and 360⁰ panoramic imagery for the creation of a full and detailed asset inventory, the Highway Maintenance Department of Oxfordshire County Council have now commenced phase two of their project, involving the large scale roll out of Orbit Geospatial software. Read more about this interesting customer story of our UK reseller Landscope. Congratulations to Singapore Land Authority (SLA) on being awarded the prestigious World Geospatial Excellence Award for the Singapore 3D Mapping project. Our partners AAMGroup and GPS Lands involved in this iconic mobile mapping project have recently completed this job and delivered over 5,000km of mobile mapping data in Orbit format for one of the world’s most built up nations. Michael Baker International is a leading provider of engineering, development, intelligence and technology solutions with global reach and mobility. Read more at their most recent newsletter about the integration of Orbit GT technology in their workflow. Sidewalks and tiles, poles and fronts, cables and pipes: MapXact brings the outside world within your reach. Three-dimensional, more accurate and faster than ever. MapXact combines the use of Mobile Mapping, 3D-scanning and the latest radar technology with Orbit GT software, leading to unparalleled results. AutoMAP (Orbit GT Authorized Reseller Landscope) acquired point cloud data and imagery for the entire road network within the Administrative boundary of Oxfordshire (United Kingdom) as part of a large scale asset inventory mapping project. Orbit GT is proud to fully support our partner 3D Laser Mapping in their release of the ‘ROBIN’ Mobile Mapping system at GeoBusiness 2016. Read more about this release in their most recent newsletter: "...we were lucky that one of our software partners, OrbitGT (www.orbitgt.com) were exhibiting close by. Those interested in seeing ROBIN datasets were guided across the hall to talk to Lomme and Jeroen, who demonstrated the capabilities of Orbit Mobile Mapping software using ROBIN data." Provision of high accuracy LiDAR point cloud and high resolution panoramic imagery of the two circuits at the Isle of Man using autoMAP & Orbit Mobile Mapping Software. The full-integrated workflow of our Authorized Reseller Ofek Aerial Photo is nicely presented in this movie. The solution is based on the complete portfolio of Orbit Mobile Mapping software. Today TPI, Authorized Reseller of Orbit GT, is the largest provider of measurement solutions for surveying, construction and other industries in Poland. In their blog, TPI presents on a regularly basis interesting stories about the use of their high-end solutions. 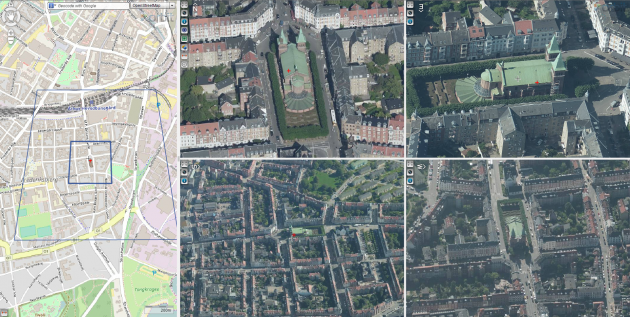 Street Layer is Getmapping’s high resolution, 360° street-level photography. It has geometric accuracy combined with the ability to capture measurements and incorporate GIS data into Getmapping's Cloud GIS. This perfect integration is based on the Orbit Mobile Mapping Publisher and SDK solution.